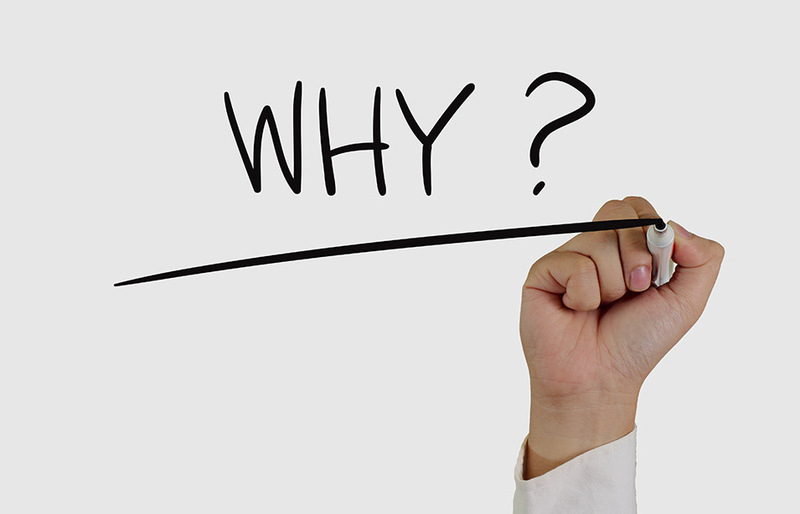 20 May Why Ask Why to Inspire Readers? For a moment consider why the above headline might entice someone to read this article. The fact that a powerful headline might move someone to an action shouldn’t be surprising. The key word is actually the headline’s first: “why.” Humans have an inherent curiosity that impels us to understand the purpose behind others’ behavior. We experience this curiosity because in our own lives, the “why” of what we do matters more to us than the “what.” Believing that what we do – both professionally and personally – is what keeps us motivated to carry on. Material rewards (like money) are strong motivators in their own right, but the feeling of performing meaningful work seems to be the overriding factor. Researchers have found that people engaging in regular, creative activities are subjectively happier than those who don’t. This effect presents strongly among professional artists, which flies in the face of the stereotype of starving, tortured creative-types. This isn’t restricted to the fine arts, either. Meaningful work, even for those practicing law, seems to be key. A recent study looked at the link between lawyers’ happiness with the type of work they performed, from highly-paid corporate lawyers to poorly-compensated public servants. A combined measurement of their life satisfaction and mood found that any increase in well-being offered by the high salaries offered in “prestige” fields of law is undone by the positions’ associated lack of autonomy and connectedness to others. Public defenders, legal-aid lawyers, and government prosecutors were found to be the most content. These findings ought to influence how your business operates internally and externally. If you’re trying to communicate a policy or procedure change to your employees, don’t just send a memo stating what the change is, explain why the change is being made and how it reinforces the brand and values the company wishes to project. While you’re at it, understand that simple memos or emails aren’t well suited to impart meaningfulness. Emotion is the best vessel for delivering the “why” of what we do, and speaking directly to your employees in person or by video is the best way to convey it. Expressing meaning to customers is just as important. If you’re selling laundry detergent, don’t lead with what your product does – “keeps whites whiter without fading colors” – when you can lead with why your product matters – “to keep you and your family feeling clean and looking their best every day.” To put it another way, which makes more sense: exciting a customer with the amazing potential of a product so they’ll be interested in studying the technical specifications, or exciting a customer with the technical specifications so they’ll study its amazing potential? None of this is to say you shouldn’t also practice communicating what your organization does, but ensuring that you also have a strong why is what will light the fuse to effective communication.